KALIKOT, Jan 25: Hundreds of endangered animals found in community forests of Kalikot districts are being hunted for the illegal wildlife trade. This has posed serious threat to the survival of the species, which are already threatened by rampant deforestation and climate change. 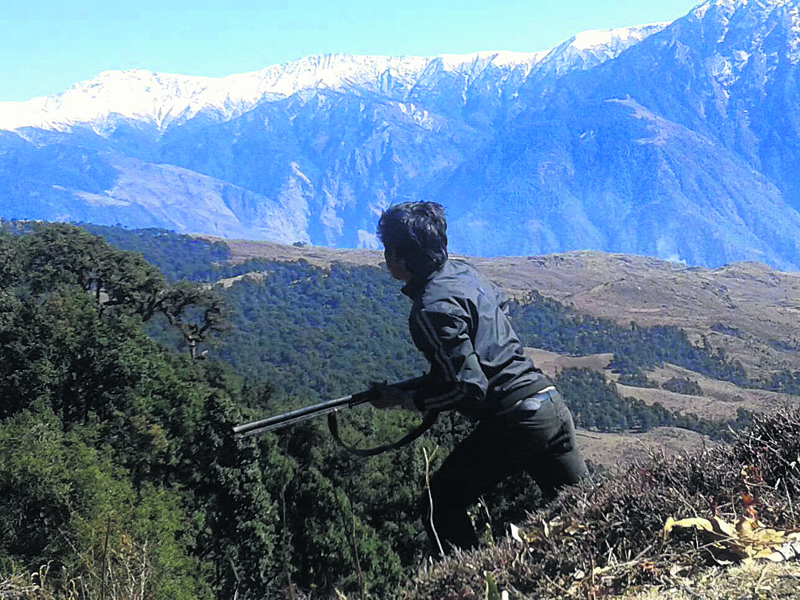 Despite the apparent rise in poaching activities, the District Forest Office (DFO) of Kalikot has they taken any action the activities. Locals have accused the DFO not performing its duties honestly. Although there is an Area Forest Office in each of the eight community forests, none of the offices have been working to curb poaching, claimed the locals. Just a few days back, dozens of locals of Syuna VDC killed a Himalayan goral, which had migrated to the lower region due to increasing cold in the mountains. Even political leaders of the district condoned the killing as they were happy to taste its meat. Although the VDC's Area Forest Office learnt about the incident, it took no action. “The chief of the DFO and other officials stay in the district headquarters. And they do not care about the well-being of the wildlife,” said Takka Sunar, a local. According to him, meats of the wild animals are sold at very steep price in the villages. Deer meat is sold regularly at hotels at the district headquarters, Manma. 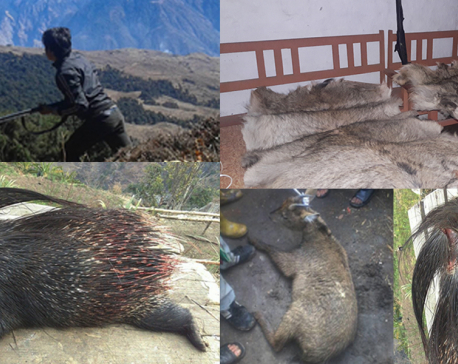 With growing illegal hunting continuing unabated, animals such as porcupine, wild boar, goral, and barking deer (Muntjac) could die out soon, locals said. “We have not come across any evidence of wildlife hunting. 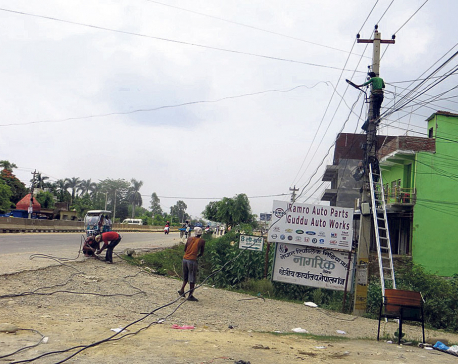 And no one has filed any complaints,” said District Forest Officer Achal Dhungana.